The air compressor comes with the most advanced control system available, with easy to use digital controls that extend compressor life by automatically protecting it in extreme environments. VMAC’s hydraulic powered rotary screw compressor produces 25 to 60 CFM and is designed to run continuously or intermittently. 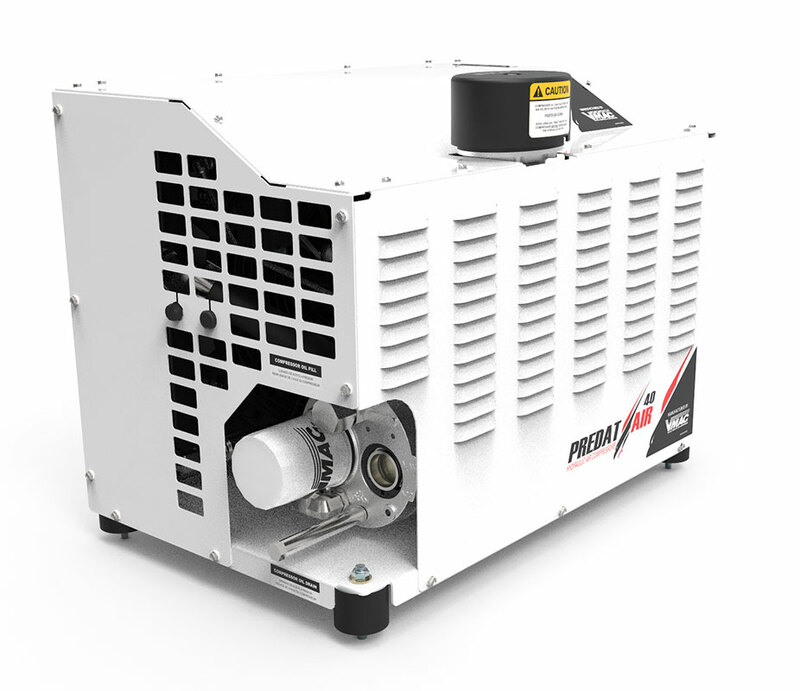 All systems feature the patented VMAC rotary screw air compressor which includes the VMAC Lifetime Warranty. With VMAC Hydraulic air compressors, you can choose the model that best works for your application. Ideal for light to medium duty trucks and operating small air tools like 3/4“ impact wrenches, light chipping hammers and die grinders. Ideal for medium to heavy duty trucks and operating small to medium sized air tools like a 1” impact wrenches, 60 lb jackhammers, backfill tampers, vertical/horizontal grinders and sanders. VMAC Hydraulic air compressor are big on power and space savings. 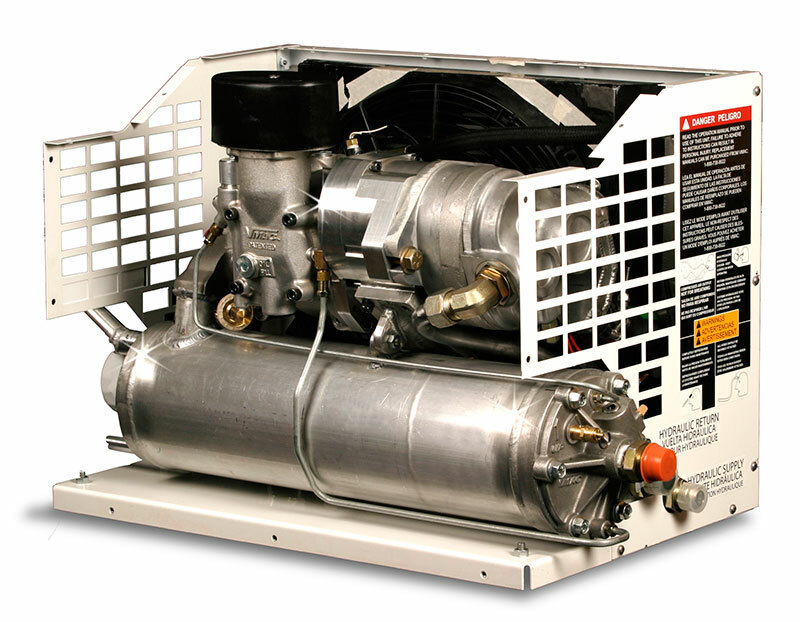 VMAC’s compact rotary screw air compressor package helps make room for hauling more tools, equipment and materials. Or, it simply makes your truck more organized. With up to 8 cubic feet of additional space, the choice is yours. 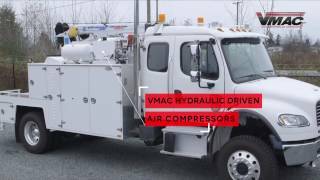 VMAC Hydraulic air compressors reduce truck GVW by up to 260 lbs. Choosing a lightweight air compressor means you’ll be able to add more tools and equipment to your truck, carry more materials, or take advantage of better fuel economy. 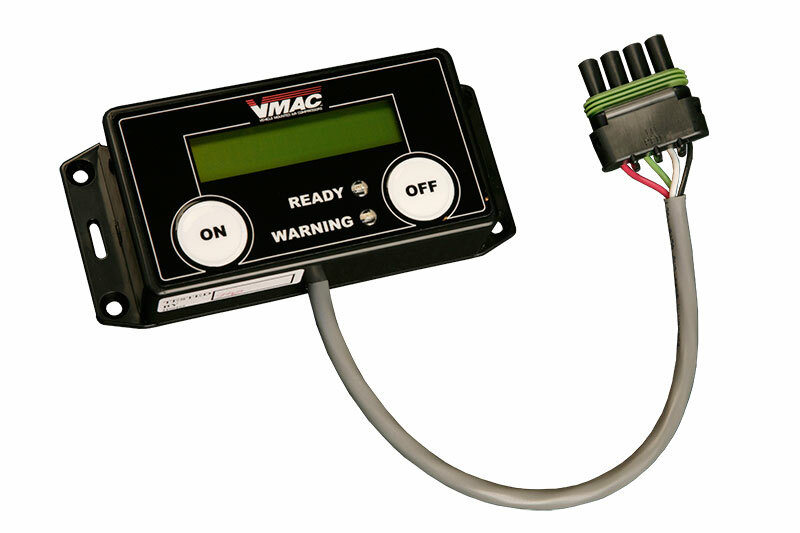 VMAC Hydraulic air compressors feature easy-to-use digital controls. Simply press the on/off button on the digital control box and the control system will take care of the rest. The display will show the system status and if something isn’t right, it will tell you. When you stop using air for any reason, the compressor goes into Standby Mode, ready to start up automatically the moment you need air. 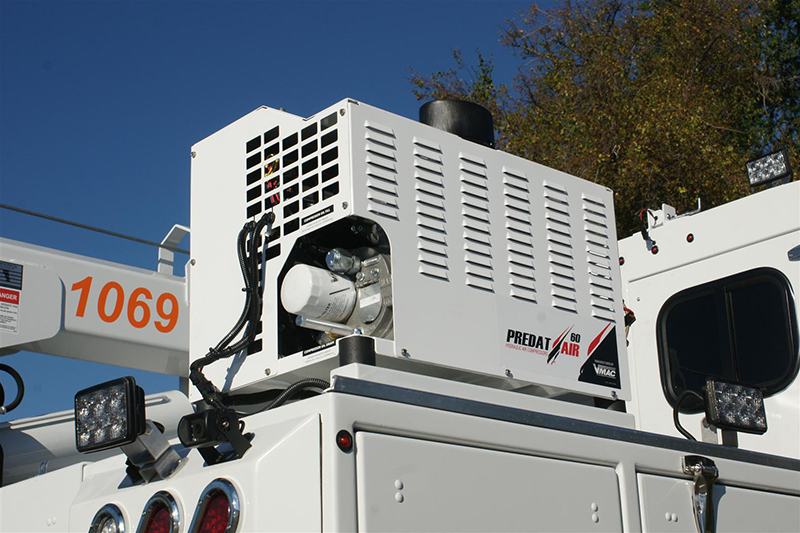 VMAC Hydraulic air compressors use patented rotary screw technology designed to run intermittently, without producing excess water in the air line, or continuously without stopping or overheating. 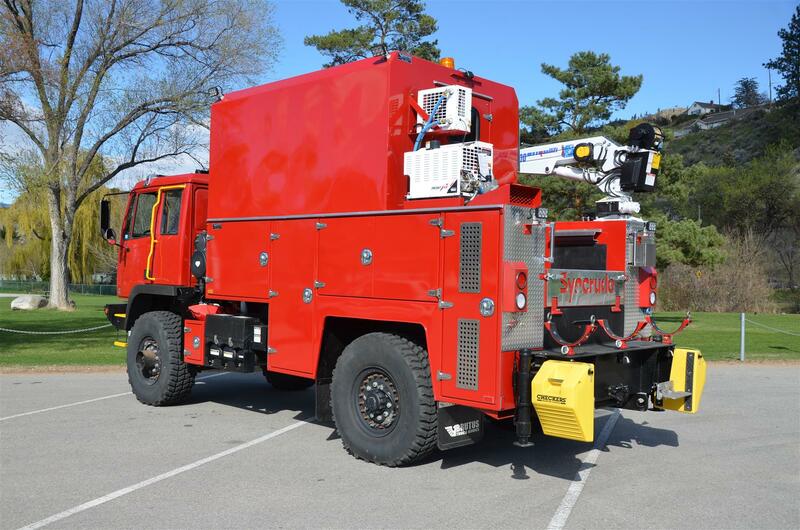 This means that operators can work on any job, no matter the size. VMAC Hydraulic air compressors are proven to work in any extreme climate, chosen as the hydraulic air compressor of choice in arctic and desert environments. "The DTM is convenient and reliable. " "I recently used the system when it got down to -18°F, and it was flawless"